​Welcome to the office of Dr. Joe Glenn, D​C, chiropractor in Tyler, TX. If you suffer from neck pain, back pain, hip pain, or more, we are here to help. We are committed to providing quality chiropractic care for your whole family. We also offer Acupuncture. Serving East Texas and the greater Tyler Area. We look forward to serving you! ​Offering Chiropractic care and Acupuncture to help you get out of pain and stay healthy. Wed: 9 A.M. - 11 A.M.
Thurs: 9 A.M. - 5 P.M.
Fri: 9 A.M. - 2 P.M.
​“Kaleo” is derived from the Greek word “kalew,” meaning “called.” From an early age, Dr. Glenn knew he wanted to help people live long and healthy lives. ​He first experienced Chiropractic care after suffering neck trauma during a car accident. He tried other forms of therapy but nothing seemed to work. After a year without any relief, Dr. Glenn had his first chiropractic adjustment. Following a successful recovery, he grew increasingly interested in providing others the same safe, high-quality care he had received. Chiropractic promotes natural healing without the use of drugs and surgery. Chiropractic care can offer alternative treatment options or complement care being received by other health professionals. Call today to make an appointment, or provide your contact info and we'll call you. ​Chiropractic is involved in alleviating pain through the process of restoring proper motion to the joints of the body and spine. Motion is an excellent pain reliever. Think about when you were a child, and you got an "owie." Ask yourself, what would your mom come and do for it? She would usually kiss the area, or lightly rub it. 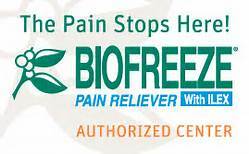 The process of rubbing stimulates motion receptors, easing the pain. It is a scientific fact that the nervous system is the control center of our body. It controls how the systems in our bodies function - the cells, tissues, organs - everything. The nervous system consists of the brain, spinal cord, and nerves in our body. If any of the 24 bones that make up our spinal column lose their proper position, our nervous system can become irritated and cause dysfuntion of the body. The chiropractic adjustment involves a low force thrust into a joint. The joints in the spinal column are in close proximity to the spinal cord, which is the connection of mind and body. It connects your brain to your muscles and organs, allowing you to function. The spinal adjustment can have a profound impact on the nervous system, reducing headaches, neck pain, back pain, and allow you to sleep well at night. ​The human body is capable of self healing. The bones in our spinal columns, however, can impair vital nerve function. Our nervous system is the control station for our body. If it is not working properly - neither will we! Though it might be surprising to some, pain is not the result of an aspirin deficiency. While you may find over-the-counter pain relievers in the same aisle as nutritional supplements at your local pharmacy - they are NOT essential nutrients. Your body does not require them to function properly. Pain or discomfort is usually a sign that something is wrong. Why try to cover up symptoms when you can find the underlying cause? ​We believe your problem has a solution, and we promise to help you find it. It is our goal to provide you with the best care available. We do this by incorporating the latest therapeutic techniques, providing the education needed for faster recovery, and using a whole body approach aimed at providing long lasting relief of your symptoms. We want you to receive the care you need, and will refer you if necessary. You can learn more about the services we offer by clicking the "Services" tab at the top of the page. Dr. Glenn is also happy to provide nutritional counseling, advice on spinal health, and tips on healthy aging. We also hope you will visit Dr. Glenn's Blog to learn more about healthy living, proper streching, good nutrition, and more.